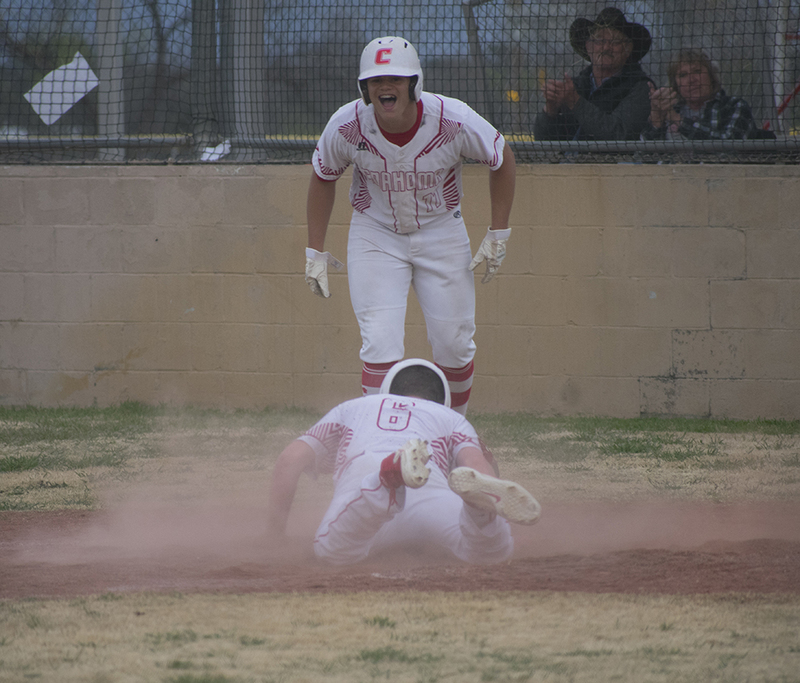 COLORADO CITY — Isaac Murillo had a seven RBI day including an inside-the-park grand slam during the Bulldogs 16-1 victory over 5-3A district rival Colorado City Friday. The bases were loaded and one out in the fourth inning when Murillo stepped up to the plate. The Coahoma High School junior blasted a flyball to center field which hit the fence and rolled back onto the field. However, the Colorado City Wolves outfielders couldn’t get the ball to home plate fast enough to stop Murillo from running the bases for the score. 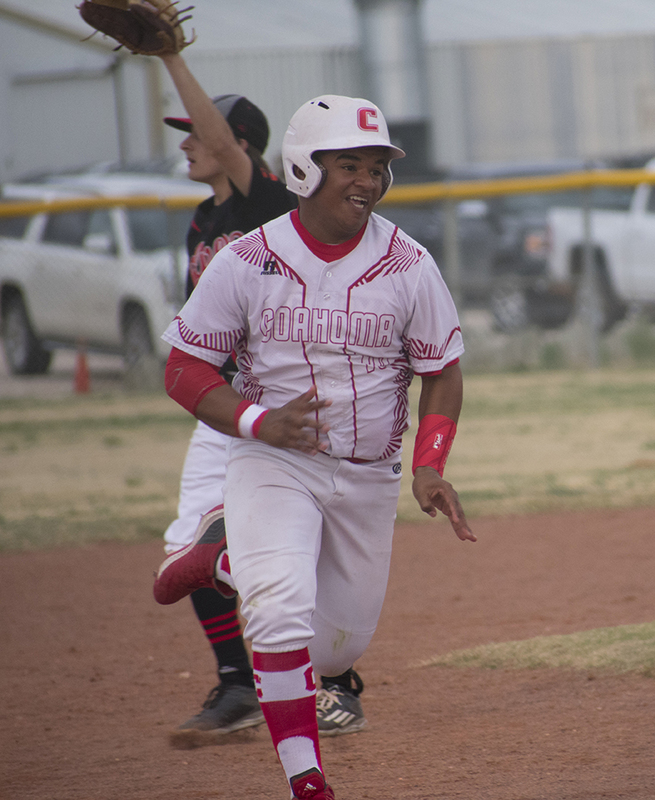 Overall, the Bulldogs got plenty of work out of Murillo who went 2-for-4 at the plate with two runs, a triple, a home run and seven RBIs, and he was just one of several of Coahoma big bats out in force Friday night. The Bulldogs out hit the Wolves 13-4. Zack Schneider had a solo home run for the Bulldogs in the third inning off a 1-2 count. Brant Gartman was 3-for-4 at bat with two runs and two steals. Avry Burgans pounded out a triple. Braxton Chandler and Taylor Barnes had multiple hits. Chandler hit a double and got two runs. Barnes earned an RBI from a single on a line drive to third base. Barnes went the distance on the mound for the Bulldogs. He allowed four hits, one run and struck out five over five innings. Next: Coahoma ( 8-5-1, 2-3) will travel to Merkel for a 5-3A match up against the Badgers on Tuesday. Game time is 4:30 p.m. for the JV and 7 p.m. for varsity. W — Taylor Barnes, L — Joey Gutierrez. 2B — Coahoma — Braxton Chandler; Colorado — Joey Gutierrez, Reid Harris. 3B — Coahoma — Isaac Murillo, Avry Burgans. HR — Murillo, Zack Schneider. SB — Coahoma — Brant Gartman 2, Zack Schneider, Avry Burgans; Colorado — Thad Hargrave, Jacob Munoz. Copyright © coahoma independent school district 2017. All rights reserved.